Written just eighty-four years before Neil Armstrong stepped on the moon, this is a Victorian collection of moon lore: myths, folklore, superstitions and just plain whimsy from all lands. 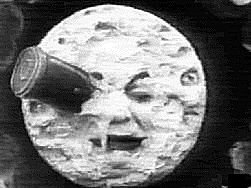 Although contemporary astronomers had fairly well wrapped up the question of whether there was water and air on the moon, Harley still suspected that the moon was inhabited. However, there was still much that was unknown about the moon until the first probes were crash-landed on it (for instance, whether the surface was covered with vast, deep layers of dust). So we shouldn't feel too smug, even though we've played golf there. The universe will continue to surprise us.